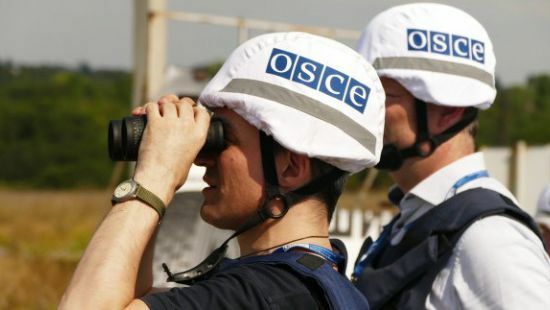 The "DNR" militants did not allow observers from the OSCE Special Monitoring Mission to the temporarily occupied village of Markyne, located 94 km from Donetsk. This was stated in the report of the mission, published on November 4. "The armed person refused to let mission’s patrol to the facility in the uncontrolled by the government Markyne village (94 km to the south from Donetsk). SMM reported this to the Joint Control Center," the report said. As it was reported earlier the OSCE SMM issued an appeal to avoid shelling the Donetsk filtering station and other civil infrastructure facilities in Donbas, said special representative of the OSCE Head Martin Sajdik. According to him, if the projectiles hit the tanks with toxic substances, people living in the immediate vicinity of the station may die. He called on the parties of the conflict to refrain from shelling the territory of the Donetsk filtering station.